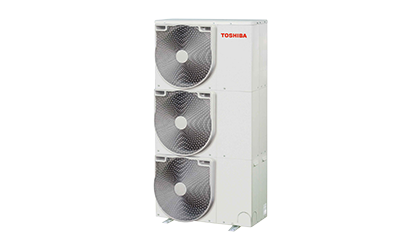 Toshiba VRF Side Discharge Smms -e , Commercial Air Conditioning System Online in India. The all new side discharge VRF air conditioner lineup lets you cool or warm as many as 12* rooms with a single system. Outdoor units ranging from 4 to 12 HP, offer best in class energy savings, installation flexibility and quiet operation, plus with 13 indoors to choose from, the side discharge VRF makes a perfect solution for showrooms and office buildings.